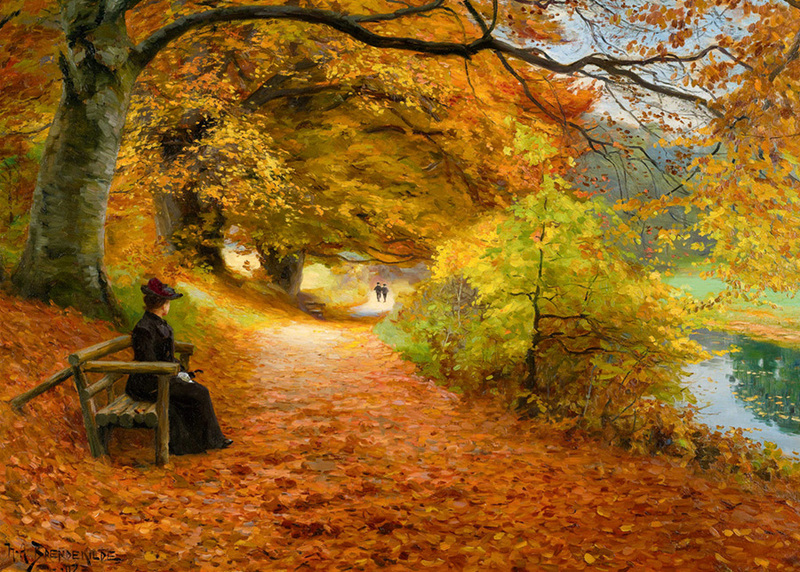 A Wooded Path in Autumn is a beautiful painting by Hans Andersen Brendekilde. Hans Andersen was a Danish painter born to a poor family. As a young man, he was apprenticed to a sculpor in Odense. He later left sculpting to take up painting and he adopted the name of Brendekilde from his natal village in order to avoid confusion at exhibitions with his friend who shared the same surname. This lovely 1000 piece painting shows off beautiful rust colours that draws you into another realm. Item # DT-484 Weight 1.45 lbs.